If you ever wondered what it takes to create something as majestic as Black Mountain golf course take a look at the video entitled The History about Black Mountain available at www.blackmountainhuahin.comgolf/historien-om-bmg/. 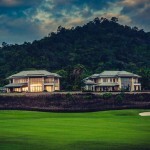 It tells the tale of the building of the course 10km west of the seaside town of Hua Hin and subsequent development of its resort facilities. Black Mountain was/is the vision of Swedish entrepreneur Stig Notlöv, a single-minded individual who overcomes barriers that cause others to falter. Stig’s vision is expansive and if Golf in a Kingdom is all about an experience then Black Mountain ticks the box. Its golf credentials are of course impeccable, with numerous awards including the elite membership of US Golf Digest’s best 100 courses outside the USA. Here we shall identify Black Mountain’s other attributes which make the venue an ideal base for families that love beautiful surroundings and easy access to multiple activities. 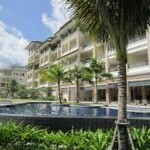 Accommodation ranges from million dollar homes overlooking the 10th fairway, to apartments in a condominium complex and individual pool villas adjoining the nine-hole course suitable for families of 4 or 5; all are beautifully appointed and available for rent. There is provision for a multitude of sports that children will delight in; tennis, beach volleyball, boule and miniature golf while adults can avail themselves of the comprehensively equipped gym then soothe any aches and pains in the Spa. Most exciting of all (apart from the stunning championship golf course!) is the combination Water/Wakeboard Park which is utterly sensational. 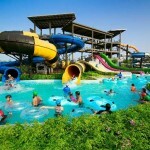 Given the weather will likely be hot and sunny almost every day, families could easily find themselves returning day after day to the waterpark. 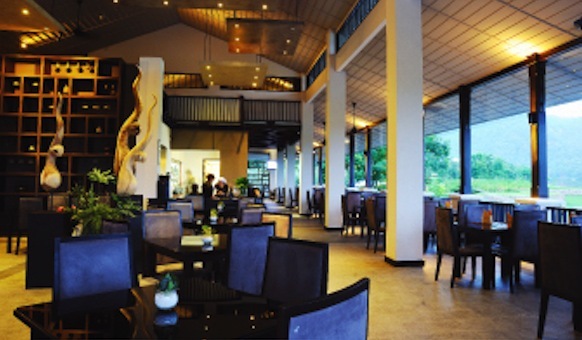 For those times when you don’t wish to venture into Hua Hin the fabulous clubhouse features an open-air restaurant which is open for breakfast, lunch and dinner and offers an extensive menu of western and Thai dishes as well as a comprehensive international wine list. 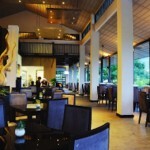 Head chef Mårten Karlsson and restaurant manager Khun Bew place great emphasis on service, quality and presentation. They believe a golf course restaurant should have the same standards as restaurants anywhere else, meaning you can be assured of a first-rate dining experience. European specialty dishes feature fresh ingredients, including salmon imported from Norway and beef imported from Australia and New Zealand. Also available are a wide selection of the highest calibre wines, whiskey, cognac, champagne and cigars. 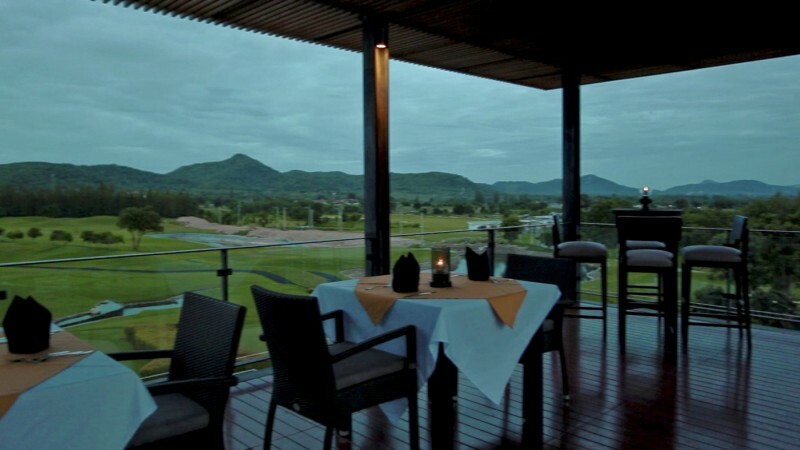 A great place for a pre-dinner aperitif, or indeed a post round of golf drink, the aptly named Sky Bar offers fabulous views over the course. Here you can choose from a large range of local and imported beers, as well as wines and spirits from around the world. 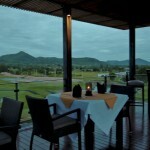 Although smaller in scale, as a golf destination Hua Hin can be regarded as Thailand’s Myrtle Beach. Certainly a premier course the Black Mountain offer is truly 5 star and a complete package.